St. Jude Children's Research Hospital honored Grammy Award-winning country music artist Darius Rucker at the 28th annual Country Cares for St. Jude Kids Seminar on Saturday, Jan. 14 at The Peabody Memphis. 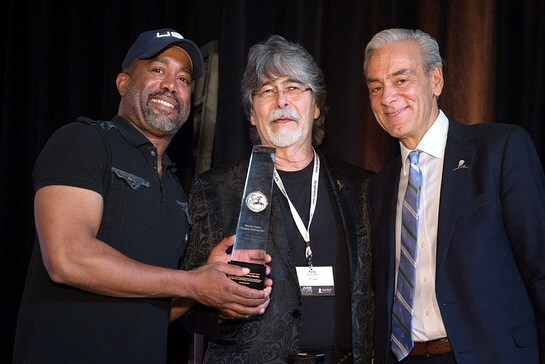 Rucker received the prestigious Randy Owen Angels Among Us Award, which recognizes individuals who have made exceptional and lasting contributions to St. Jude Children’s Research Hospital through their unique commitment and humanitarian spirit. As he accepted the award, Rucker presented a $50,000 check from ACM Lifting Lives, the philanthropic arm of the Academy of Country Music, to support the music therapy program at St. Jude. Rucker is a staunch supporter who has championed the lifesaving mission of St. Jude for several years – lending his talented voice and passionate heart to raise funds and awareness for the hospital. In 2016, Rucker hosted the seventh consecutive, star-studded Darius Rucker and Friends benefit, a sold-out concert that featured performances by Charley Pride, Hunter Hayes, Drake White, Terri Clark, Locash and Scotty McCreery. The annual event has raised more than $800,000 for St. Jude, helping ensure families never receive a bill for treatment, travel, housing or food – because all a family should worry about is helping their child live. This award places Rucker among the ranks of only four past recipients, including ALABAMA front man and co-founder of Country Cares for St. Jude Kids, Randy Owen for whom the award is named, country artist John Rich and former ALSAC Chief Operating Officer David McKee (posthumously), and St. Jude Country Cares Advisory Council member Sharon Eaves (posthumously). Rucker first gained fame as the lead vocalist and rhythm guitarist of the Grammy Award-winning American rock band Hootie and the Blowfish. 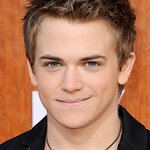 Since then, he has dominated country music charts as a solo artist. Rucker recently signed on as host for the second season of “Reel South,” an anthology series highlighting 12 non-fiction stories from across the country, celebrating America’s rich tradition of Southern comfort.